Home › Electronics › Tomameri Green Color Portable Mp4 Player Mp3 Player Video Player With Photo V..
Tomameri Green Color Portable Mp4 Player Mp3 Player Video Player With Photo V..
Easy handling with "Plug and Play"
Warranty and Tech Support only Handled by Tomameri . 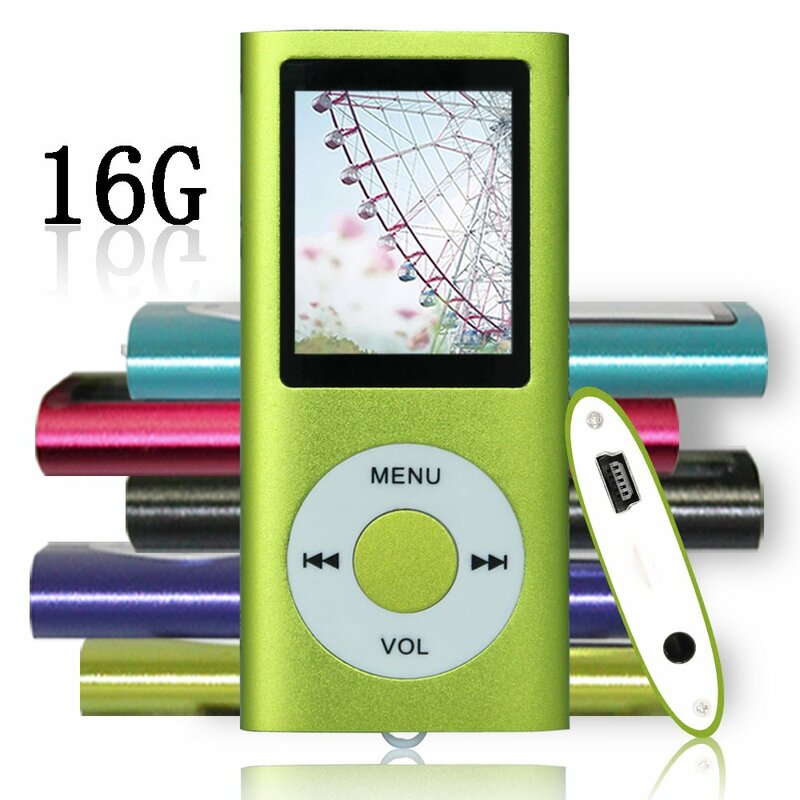 Color: Green Note: 16 GB Micro SD card included. But when you use this MP4, you can exchange the card randomly. Supports playback of MP3 and video in AMV format Memory (External): up to 16 GB Micro SD card (included) Easy handling with "Plug and Play" Charging time about 3-4 hours while MP4 is in the status of "ON" Built-in Li-ion battery, charged via USB cable to the PC or wall socketadapter Image Viewing: JPG, GIF, BMP Dictation E-book function (txt compatible) - Play Modes: Normal, Folder, Repeat, Replay - Languages: German, English, French, Italian, Dutch, Portuguese, Spanish, Swedish, Chinese. Package Contents: 1 x MP3 / MP4 Player 1 x 16 GB Micro SD card 1 x Data Cable 1 x Earphone 1 x English User Manual This item is not an Apple product, and it doesn't support iTunes. The detail differences between our item and Apple product are as below: 1. The button and screen size are not the same as iPod; 2. "A 16GB memory card with our MP4 is included"--- only when we insert aMicro SD Card, a music or other files can be downloaded. While iPod itselfcontains memory and can be used directly; 3. The system for our players different from iPod. And after turning on theitems, all the interfaces are absolutely different; 4. The players supports playback of MP3 and video in AMV format, which showstheir formats are completely not alike"-------Please pay attention: MP4format, radio, e-book, and other functions are supplementary to the mainfunction "MP3". 5. The USB interface of the player is mini USB port, while iPod's is 30 pinone----the pictures show this; 6. The operation and functions are also different from iPods. Warranty and Tech Support only Handled by Tomameri.